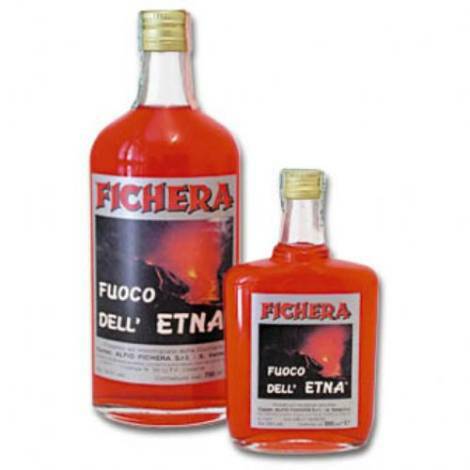 Etna Fire is a very strong liquor, which can 'get to a gradation of 70 degrees Celsius, obtained from pure alcohol in which Etna herbs are dipped. Its pinkish color is due to the use of rose petals, the strength and warmth that emanates immediately helps to overcome the bitter cold that envelops visitors, while hiking to the top of the volcano. It is, rightly, the 'blood of Etna', and to taste it during the ascent of Etna means repeating a primordial ritual, which, as the great philosophers experienced while climbing the mountain, shakes the senses and makes us feel the overbearing force of the elements of nature.